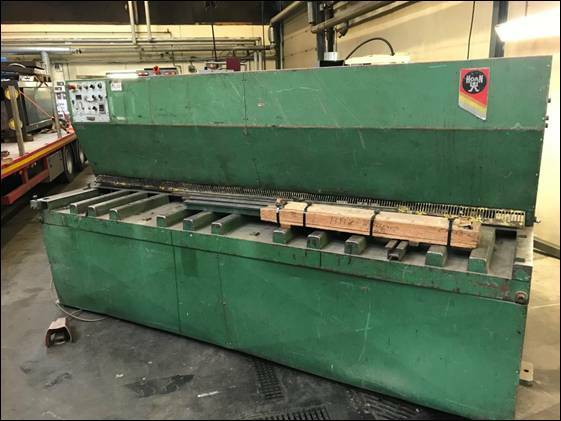 Capacity : 6000 x 2500 mm. 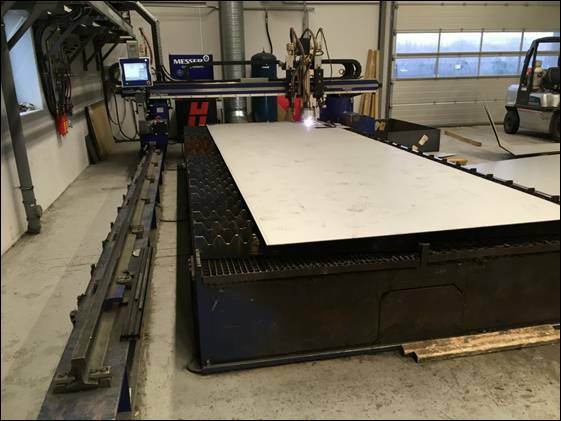 Messer CNC plasma cutting machine Model Hypertherm 3600 - Year 2008 Capacity :..
Hoan hydraulic shear Model CHE 30/6 - Year 1984 Capacity 3000 x 6 mm. 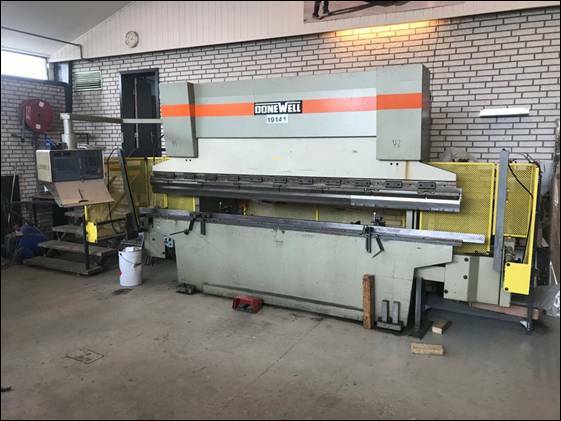 Power b..
Donewell CNC pressbrake Model H 3100 mm. x 110 tons – Year 1984 Capacity..